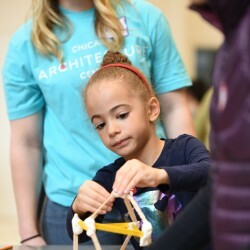 The Chicago Architecture Center’s family festivals bring your whole family together for a day of play and collaboration around a design-inspired theme. 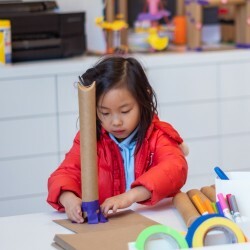 We’ll lead you and your kids through a variety of creative, hands-on activities, leaving you time to use your imagination, explore new ideas, experiment and have fun together as a family. Celebrate National Engineers Week at our annual Engineering Festival every February. We’ll explore a new theme each year through hands-on activity stations where families can enjoy fun and interactive engineering experiences. Be an innovator! 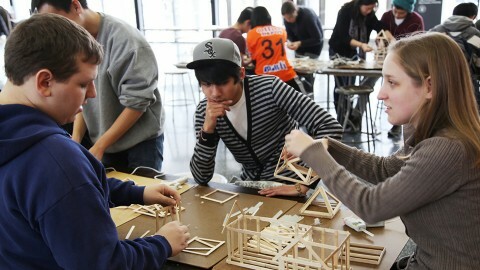 Design, build and test your creations then get feedback from local experts and engineers. Kick-off your Open House Chicago adventure at the CAC! Each October, we host a free Open House Chicago Family Festival where your family can learn about our city’s iconic structures, create take-home projects and pick up a special guide to family-friendly Open House Chicago sites. Are you a parent or educator looking for opportunities for teens? Get our e-newsletter, featuring monthly updates on programs.